Running a Digital Marketing Agency, I see number of businesses trying to get on the E-Commerce bandwagon, and that number is increasing day by day. With availability of SAAS ecommerce platforms in abundance, it’s pretty easy for anyone to build a store and start selling online in a short time. It’s true that these tools make it easy to get online, however, what people fail to understand is that the actual selling part in the whole process is NOT that easy. In this article we will try cover what we have found about business owners coming up with E-Commerce stores. Never ever forget, that starting up any new venture requires lots of research. Whether it’s a retail store or online. This research is required to gain complete information about the market, however if this is missing one may enter into a wrong market. A proper research should be done to gain details about the habits, behaviour and preferences of your consumer. Having a complete knowledge about their preferences and buying habits will enable you create a dominant position for yourself in the market. However, on the other hand, absence of research may lead to frustration and panic when nothing sells from your store. I see people spending weeks figuring out which platform to choose, what colour the logo should have, which payment gateway to go for. While all these are good things, You should invest more time researching about your potential customers, their buying behaviour and your competition. Remember in E-Commerce – Technology is never a problem, it’s the selling which is difficult. Decision of starting an online store is a big one, it involves a good budget and hence the decision has to be made with proper strategy and thinking. To put in action the above, a proper business plan should be formed well before building the store, which may have within itself, the amount of marketing budget involved, the goals and aims of the company, the product which company is willing to sell online, the proposed market which it is thinking of capturing and also the viability of the products in the industry. The business plan may be broken down into various steps like processing, analysing, evaluating, selecting, marketing, financing etc. A lot is involved in having an E-Commerce store which actually makes sales. Business owners complain about no sales, when we go check the website we see stock/low quality images with 2 lines of product information. That’s a sign of bad execution. Your execution plan should have product photography and a brief summary of how it helps the customers as top priority. People need to see what they are buying with clear images and read details about understand how it can add value to their lives. There is no shortcut there. Finance is the backbone of any of the venture, without which even the thought of starting up the business is lame, when it comes to an E-Commerce portal you are going to need pretty good budget for marketing and getting the word out. People are not going to know about your portal on its own. Yes, you can optimize your E-Commerce website for search engines and hope for Google to rank you on first page but that takes months, you need results faster and that involves advertising. You heard it right that advertising online is way cheaper than traditional banner and newspaper ads. Heck, anyone can start advertising with mare 500 INR (On Google). What you have not heard is 98 out of 100 people who visits your E-Commerce website leave without making a purchase and you are still paying for these visits in one way or another. You are going to a need lot of these visitors data to learn about the buying behaviour of your target visitors and improve on how to show the right advert to the right audience on the right time. Anyone who is starting up the Online store shall keep in mind that even with Digital marketing AKA paid advertising you cannot expect return instantly. You may even lose for a few days. There is no certain formula that you do a particular thing and your portal becomes a money machine. There are variables and they vary from business to business. In the initial stages of the site, visitor data should be collected, analyzed and processed to figure out what is going on and what to do next. As time passes more data is available telling what else can be improve giving you further profits. o the major focus of you should be on the customers. The products provided should add value to the lives of the consumer and they will take every step to remain loyal to you. Thinking about customer service from start and arranging fast shipping is something you should consider BEFORE you get your first order not afterwards. It’s cool to see two buddies get together and start a new online store, but always remember to keep the partnership professional. When you are dealing with your friends or families you should have a proper process in place which clearly defines about who controls what. We have frequently noticed that verbal arrangements or contracts have led to the closure of many stores as some people just so not stick to their words and cause disturbances in the business process. A proper written contract should be preferred, having defined set of terms and conditions of the relationships between the suppliers and various other peoples involved, let it be your coder friend or the rich Uncle who lends you money for it. Its normal for a business to involve number of people or associates – in fact without them the business may not be run successfully. Whether it is a small or a large business, all of them require different skillsets, you need to ensure that you associate with right people. The problem comes when you ask your mom about how your website looks. The biggest problem we see amount store owners is they have too many people giving their inputs and feedbacks. You should take into account everyone’s feedback. However, business decision should be primarily be based on the data and behaviour analysis not because someone thinks it will look cool that way. This one is something I like to add from my own. Doing a business is a full time job, let it be online store or a retails shop offline, It’s a big responsibility in its own, due to which at times you will have put your personal and social life at stake. But at such times try and learn to keep in balance both your personal life and work, as throughout your career you may need their support and love. So never ignore your loved ones as they are the ones who will stand by your side throughout. Starting up a new venture is a big decision in itself, which can only be achieved with proper strategic planning and a lot of decision making. Hopefully, the 9 points I have mentioned above helps you getting on the right path of success for your jazzy new online store! Jolla Smartphone Arrives In India Via Snapdeal. But, Are Their Any Takers? Its a nice article, I would like to add somemore points, at initial stage before starting your business you have analyse the customers who are about to buy your products. Go through what type peoples who are about to buy your product like people from rural or urban, young or old, women or men etc etc. By analysing a customer compeletly you can build a store that gives your customers a homely situation to buy the products. Secondly in a eCommerce business your time is more important. For simple but long tasks or unkown tasks you can make use of Crowdsourcing services like these ( http://www.mercuryminds.com/services/crowdsourcing.html ) by which you can save your time as well as get a quality input. Third before starting your store analyse about your competitors how they do their business by which you are about make a difference from them and attract the customers, By these stuffs you can lead a successful business. 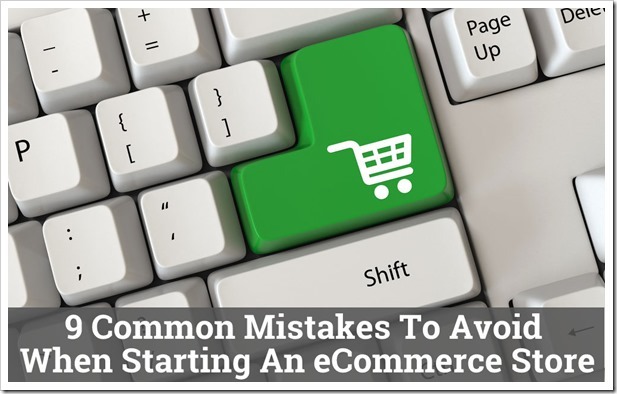 Excellent article not only for ecommerce but anyone starting or managing a business. I often see my clients falling into one or more of these traps. Couldn’t have said it better!